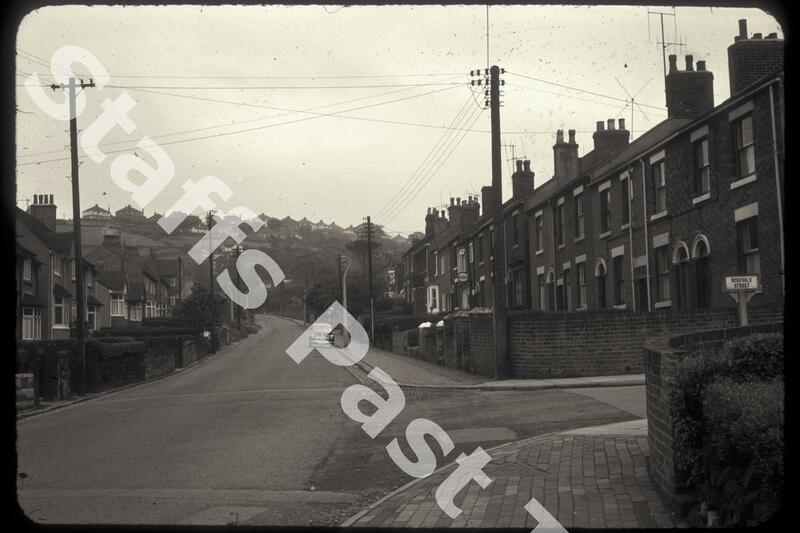 Description:Looking east along Bagnall Road with Baddeley Edge on the horizon. Rosevale Street is off to the right. This side of Milton, east of Leek Road was known as the "up end" of the village. 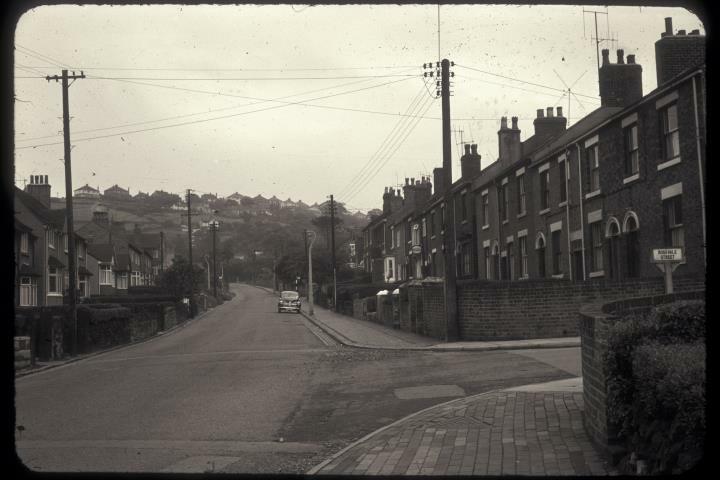 Before the 1890s, Bagnall Road was known as Cinderhill. The terraced houses on the right hand side date from the late 19th century, the semi detached houses on the left were built by the mid 1920s.